During the last decade, thanks to its original game-play, wide availability and mostly – thanks to *you*, the game is installed and played by millions of people. If you still didn't discover Biniax, just do it now. The only invest needed is some of your time, but don't worry – it will be paid back in pure fun. If you already know Biniax – thanks for playing and spreading the word! Biniax is open-source puzzle game, originally written for Microsoft Windows and Linux, but later ported to tens of other platforms by different nice people around the World. Today it can be found running on almost everything. Search for it in the repository of your favorite Linux distro, get it from GooglePlay for Android or download it here for MS Windows or many other platforms. Initially prototyped in Python, the Biniax game was born. 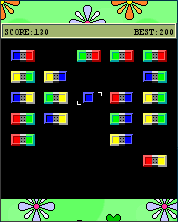 After achieving the best game balance, Biniax was ported to C using the SDL library and released under open-source license. 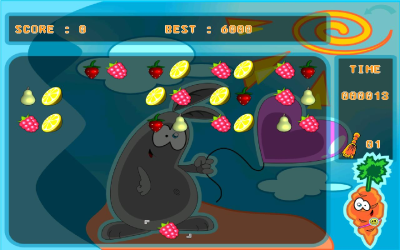 The good game mechanics gain many fans in very short time. The almost-Bauhaus visual design left it niche game more than casual one. 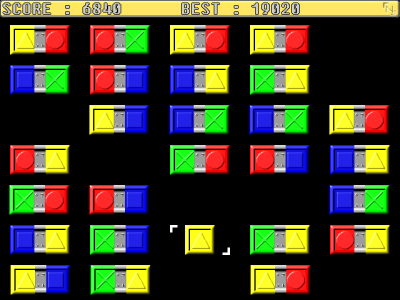 Biniax under Windows in 2005 - with sleek design, but the main game elements, making is distinguishable. 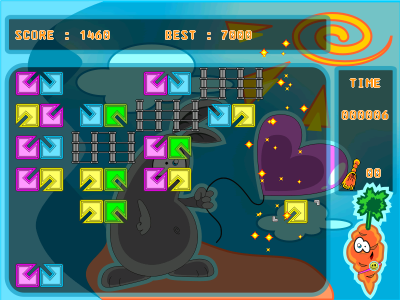 Completely re-written in Java 2ME for every mobile phone at that time, Biniax reached its best target group - the mobile gamers. Biniax-Mobile running on Nokia with Symbian OS and J2ME. Not a lot has been changed between 2007 and today with the game, except the fact that Biniax stand the test of time. Thank the great support from the programmer's community, it is really spread to every major OS and platform. There are several remakes and homages of Biniax, and each homage is a praise to the original. Thank you for your support!